It usually takes 1/2 day to a day for 2 to 4 people to set up their yurt the first time, but a single person can do it in 2 hours with a bit of training. The first time can be a little tricky even with our detailed installation notice. We can offer our clients optional set-up assistance. 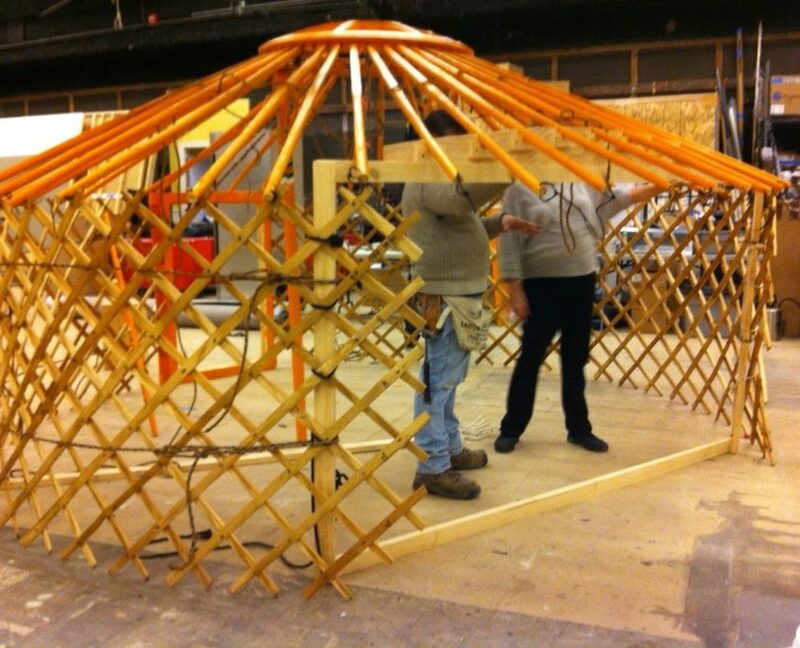 Your participation will ensure you can assemble and disassemble your yurt smoothly on your own in the future.Anchoring the yurt is not necessary, although recommended in some areas subject to extreme winds. Yurts can be installed in almost any conditions, although some care has to be taken depending on the local climate. A yurt can be installed directly on almost any ground, leaving no footprint, although we recommend using a platform.